The Massachusetts Board of Registration in Nursing (BORN) has released proposed regulations that sets guidelines for, among other activities, delegation by nurses to “unlicensed personnel.” These guidelines are NOT a change in the nursing scope of practice around medication delegation, which requires a law approved by the legislature and signed by the Governor. The BORN is merely aiming to establish a nurse delegation framework inclusive of much more specificity in areas such as training, supervision and documentation should nurse delegation practices become allowable in Massachusetts. Ensuring that the delegating nurse would not bear any responsibility for any deviation by the unlicensed personnel from the nursing directive, instruction, or plan of care. Formalizes the nurse’s role in knowing what is within the ability of the unlicensed personnel to carry out and what can be delegated that would not require judgment or assessment by the unlicensed personnel. The final decision to delegate is made by the nurse and not the employing healthcare provider. The employing healthcare provider must have the competencies of the unlicensed personnel documented for each nursing activity along with periodic validation of those abilities. The nurse can determine at any time that an activity can no longer be delegated based on the health status of the patient, the unlicensed personnel’s performance of the activity, or any other reason the nurse believes would jeopardize the health and safety of the patient. The proposed regulation follows years of discussion and a BORN subcommittee report on the state’s readiness for potential changes to nursing practice. This bill will not pass in the current legislative session that ends with the New Year in 2017, but the HCA plans to continue pursuing a change that would allow – not mandate – that home health and home care agencies can implement proper training and procedures to maximize the efficiency of their direct care staff. Products which are administered by inhalation. Although the Alliance has comments and suggestions for the BORN’s proposed regulations, HCA fully supports the move to ensure the state is prepared for laws that promote nurses practicing at the top of their licenses. The Alliance appreciates the BORN’s thoughtful approach that further solidifies the importance of nurses in healthcare delivery. The BORN will hold a public hearing on October 4th and will accept written comments until October 11th. Today (Monday, Feb. 2nd) is the deadline for legislators to officially co-sponsor legislation, so NOW is the time to contact your local state legislators and ask them to formally support bills of importance! The Alliance has worked to file two bills with home health champions in the legislature. One bill is re-filed from past years and is known as the “Nurse Delegation” bill, which would improve the efficiency of home health care services and save state funding by allowing home health nurses to delegate certain medication administration tasks to a trained home health aide, hospice aide, or certified nurse assistant. The other HCA legislative priority is called An Act Strengthening the Quality and Efficiency of Home Health Services. The bill would establish a commission to study oversight options for the Commonwealth that fit our unique and highly-regarded health care system. The commission will also study MassHealth payment rates and methods to determine if there is a more efficient way to reimburse for both traditional home health services like skilled nursing and therapy, but also palliative care, Alzheimer’s/dementia, behavioral health/substance abuse, and chronic disease management. Please contact your local state representatives and senators to urge them to sign on as co-sponsors of these two measures. At this early point in the legislative session the proposals haven’t been assigned bill numbers. Right now they are identified as House Docket 3151 (Nurse Delegation) sponsored by Representative Kay Khan and House Docket 1864 (Home Health Commission) sponsored by Representative Kate Hogan. Ask your legislators to contact the main sponsor of each proposal to add their names as co-sponsors. If you’re unsure who represents you, please visit www.wheredoivotema.com/ and enter your contact info or visit the state legislature’s website to search by name or location. You can also contact James Fuccione at the Alliance for for more information. 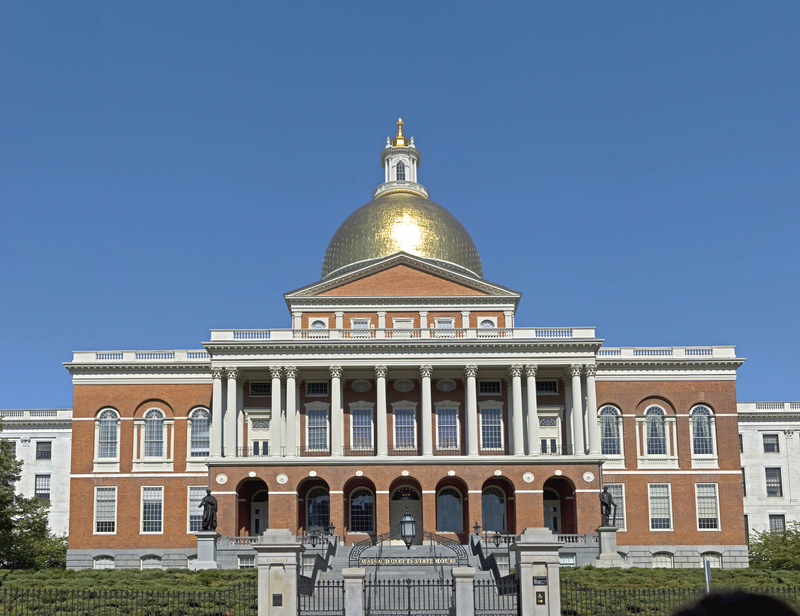 Once again this legislative session, the Home Care Alliance of Massachusetts has filed a bill (An Act Relative to Home Health & Hospice Aides) to allow nurses working in home health agencies and hospices to delegate the administration of certain medications to home health aides. Before this would occur, the home health agencies would need to provide training, certify competency skills and establish documentation protocols according to the nurse delegation model developed by the National Council of State Boards of Nursing. Such regulations, according to the bill, will be drafted by the state’s Board of Registration in Nursing in collaboration with the Massachusetts Department of Public Health and with nursing input. In past legislative sessions, I have testified in support of this bill as a creative and progressive solution to removing existing barriers that obstruct home health patients from getting needed care. Our legislation recognizes the changing scope of work that can be safely provided by paraprofessionals with appropriate nurse oversight and helps prepare our state for the aging of our population and growth in clients living at home with medical condition that are stable and predictable. If this bill were to pass we would by no means be in the forefront of this issue. A number of states, including Oregon and Washington, and most recently Connecticut , have addressed at-home medication delegation, resolving that the need for assistance with managing and administering medications should not drive citizens into nursing homes. Aside from the improved efficiency of care, Connecticut anticipates a $28 million savings per year from their effort to allow certified home health aides to assist nurses with certain tasks. An obstacle to getting this bill passed has been lack of support from the state’s professional nursing organization: MNA. The Alliance has met with them on numerous occasions and assured them that this bill is intended to keep nurses, who are uniquely qualified to promote the health of patients in their homes, closely involved in the administration of medication. They remain unconvinced. At this time, the Board of Registration in Nursing is looking at revising their own delegation regulations to prepare for possible delegation of medication administration in the home. But we need the Legislature to act, and we would like to show them that we have nursing support. Please get involved. If you belong to MNA, let them know you support this. If you would like to testify or set up a legislative meeting on this issue, contact James Fuccione, jfuccione@thinkhomecare.org. With a new two-year state legislative session, the Home Care Alliance has set an improved policy agenda that would strengthen the industry and asks for assistance from member agencies and fellow advocates in gathering legislative support. The Alliance’s legislative priorities include re-filed items like the “Nurse Delegation” bill, which would allow visiting nurses to delegate certain medication administration tasks to home health and hospice aides in the home setting only. New items include establishing a “certificate of need” process for certified home health care and a state program allowing cities to grant parking leniency to clinicians visiting patients in those communities. HCA members, friends, and advocates can assist our mission by contacting their local state senators and state representatives and ask that they cosponsor these bills. If you are unsure who represents your agency or place of residence, please visit www.wheredoivotema.com and type in your address, or contact James Fuccione at the Alliance. Over the coming weeks, HCA will be alerting members about bills filed by other organizations and interest groups and will be asked to weigh in. The Alliance will, of course, continue to monitor and provide updates on the state’s health care payment reform law as it is implemented. Alliance staff and several member agencies sit on key boards, commissions and advisory groups and important information will be provided as it becomes available on those issues. For more on HCA’s legislative priorities and how you can help, contact James Fuccione at the Alliance. In an effort to advance a major policy priority, the Home Care Alliance took the language of the “nurse delegation” bill – formally known as S.2242, An Act Relative to Home Health Aides – and had it filed as an amendment to the health care payment reform bill proposed in the state’s House of Representatives. State Representative Kay Khan, a psychiatric nurse, agreed to file the amendment on behalf of the Alliance, which would allow (not mandate) nurses in the home care setting only to delegate certain medication administration tasks to certified home health aides. As the amendment was being considered by Rep. Khan’s colleagues in the House, the Massachusetts Nurses Association circulated this document to state representatives. The document completely misrepresents the intent and substance of the language proposed by HCA. The inaccurate assertions, along with misguided advocacy of the MNA based on those inaccuracies, led to the amendment being withdrawn. The Home Care Alliance has met with the MNA to reeducate their leaders on the actual intent of the proposal and voice deep concern that their document was saturated with erroneous comments. The Nurse Delegation bill itself remains in a Senate committee tasked with scheduling the proposal for a vote before the full Senate. The Home Care Alliance invites members, advocates, and anyone interested to “like” a new Facebook page focused on passing Senate Bill 1138, An Act Relative to Home Health Aides, which is also known as the Nurse Delegation bill. The page will provide updates on the bill and the nurse delegation issue in general. Other important links can be followed to reports, news articles and pre-written advocacy messages that makes it easier to contact legislators for those concerned about the issue.